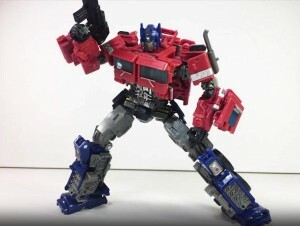 We have amazing news for all those who just could not wait to get their hands on Transformers Studio Series 38 Optimus Prime, the one from the Bumblebee film with the more G1 aesthetic. It has been spotted, along with his wavemate Rampage at a Walmart in Florida. The image was posted on Reddit as proof. The toys are priced at $28.96 USD each. They were due out in April, so this is one month early. We wish you US fans all the best in tracking this sought after Optimus Prime toy down. If you have found them, share your sightings with our community in the sightings section and on our boards in your region related thread. D-Maximal_Primal wrote: Jetfire, wow, Jetfire is BAD. 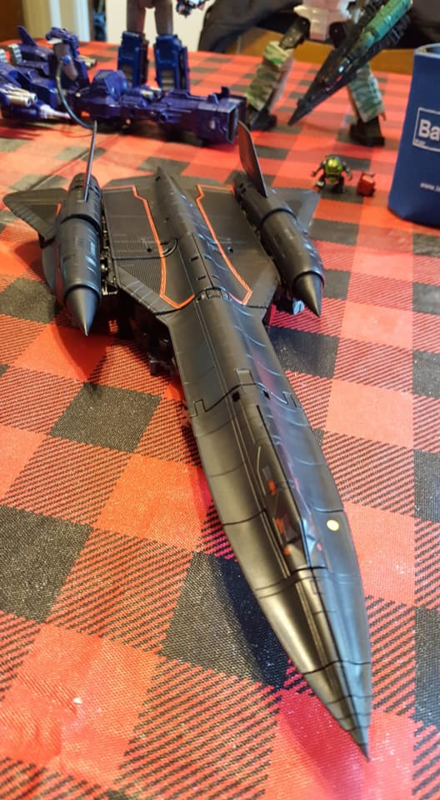 I have tried 3 times over the course of 4 hours, and I have not gotten him into jet mode yet. His legs refuse to work, they refuse to tab in straight. 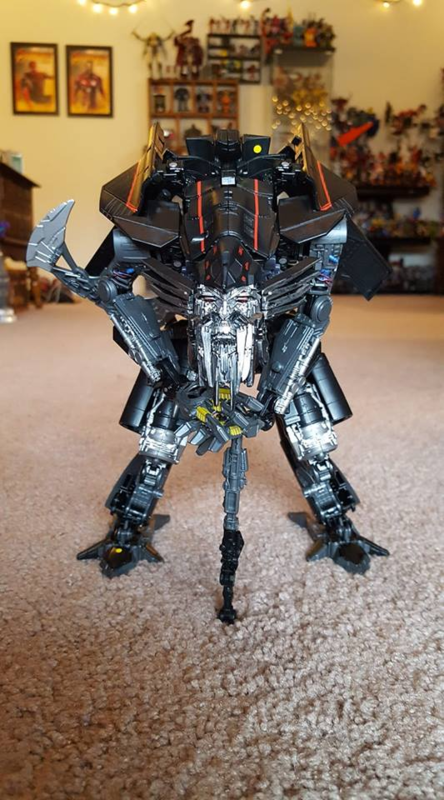 I cannot get his legs and arms to tab into jet mode in ANY location, and his front and back parts of his legs will not align either. I have yet to see a good jet mode out of him, and it's so depressing! He just won't cooperate! I don't get this at all. I've had absolutely no issues with transforming Jetfire at all and have done so several times since I got him at start of year. It's actually a pretty simple transformation too and I didn't use the instructions (never even took them out of box). I even posted two pics of him in jet mode on the previous page. Can you post pics of the parts you're having trouble with? I'm not saying this stuff to appear superior or smug, I'm genuinely trying to help folk enjoy the figure they've purchased that I have no had any trouble with. Kinda like when William-James had issues with Jazz not transforming properly but was cos he had missed the peg inside the roof that plugs into his backside and when done the panels fit just fine. 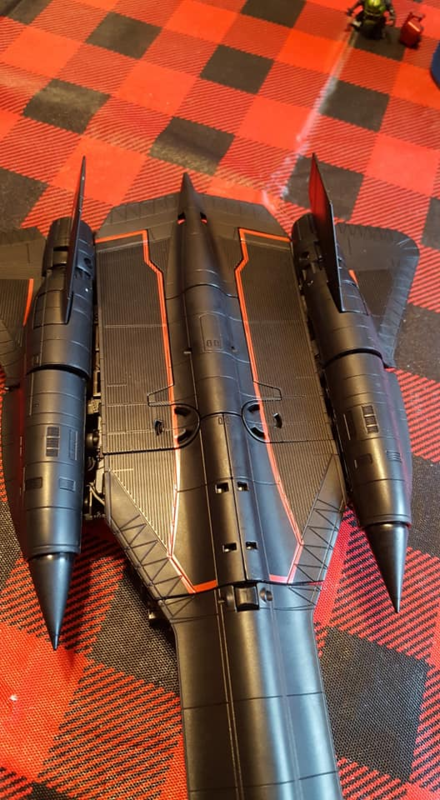 Edit: took a couple pics of the underside of my Jetfire if it's of any help to you guys. I took it with the axe attached first before realising I should remove it so took another pic without it too. If you need me to peel back any parts so you can see how the legs are transformed and such just let me know. I swore off buying new toys for a lil while but that DotM Megatron is still tempting me. I still need Bonecrusher and to find a cheap Brawl someplace too. Those giant square boots on Leader DOTM Megatron just ruin the entire figure for me. They could have managed the truck kibbles better. Kapow currently have the wave 1 and 2 voyagers at only £16.97 each instead of £29.99. Dangit I just bid on a Brawl on eBay and gotta wait for that to end or get outbid. But here's links to the Kapow listings if you're a UK collector looking for these figures at a good price. 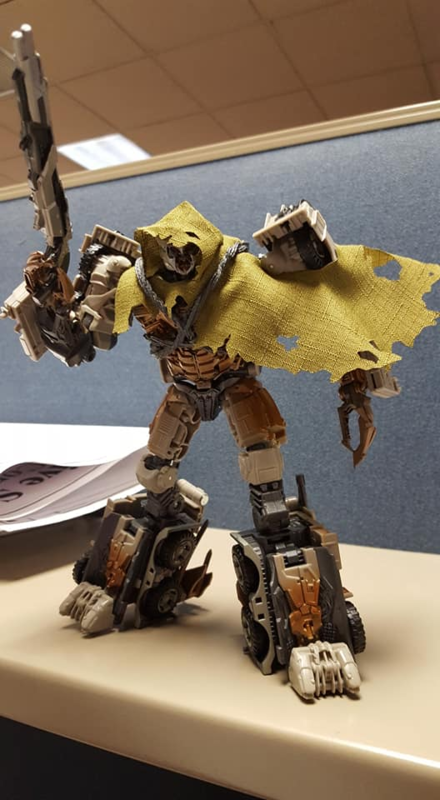 D-Maximal_Primal wrote: For some reason, SIEGE is making leaps and bounds with posability, but STUDIO SERIES seems to be getting worse. Why????? In my opinion? Because Siege is primarily designed as a children's toys first, and Studio Series is primarily designed as a display piece first. I could be way off there, but that is how it feels to me. I, too, am shocked that you are having trouble with Jetfire. I was able to transform him perfectly without instructions. I'm sorry you are having trouble. I haven't transformed Megatron yet, to be honest, so I don't know about the issues there, but I would agree with you on the hips. Which ones should and could (where transformation allows wrist be thick enough)? 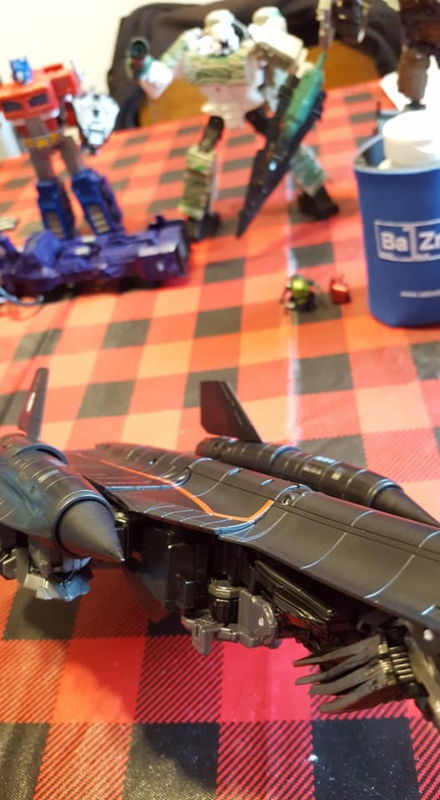 Blackout was certainly one but the Shockwave Lab hands on mine really helped with that and added finger articulation so that's good. It's rare on the Deluxes (given the size probably), with the voyagers Optimus (SS05 and SS32), Ironhide and Starscream have it (dunno about Brawl cos I don't have him and Megatron has weird hands in general), I can't remember if Grimlock had it on his one hand cos I sold him in favour of Black Mamba's version but Jetfire has similar wrists to Starscream. Ironhidensh wrote: I, too, am shocked that you are having trouble with Jetfire. I was able to transform him perfectly without instructions. I'm sorry you are having trouble. Not directly aimed at me but I thank you for proving I'm not crazy. About this anyways. Which ones should and could (where transformation allows wrist be thick enough)? Blackout was certainly one but the Shockwave Lab hands on mine really helped with that and added finger articulation so that's good. Yeah I can agree on Ratchet, holding him in hand now. Not sure about Lockdown and Stinger molds since their hands are so integrated with the car doors (pretty much the whole back of the hand is door) I can't see that being possible. But yeah Ratchet's could have potentially been done. I had to get RotF Starscream shipped from the US cos I couldn't find it in the UK, certainly not in actual stores but it turned out to be about £7 cheaper including the shipping to do so anyways cos Amazon US were selling it for 20 dollars so yay for me But yeah I've not seen any of the Jetfire, SS32 Prime, DotM Megatron, Sideswipe, Barry and co wave to appear in stores here yet. I've bought the ones I have from that lot online. A ton of Thundercrackers seems to have recently appeared to clog up the shelves at The Entertainer for £19.99. Presumably left-over Toys R Us stock (though the nearest TRU closed over a year ago). Hm, I'm not sure what's causing the issue. Can you pull it out at 90 degrees and ensure every detail and part is aligned or rotated (particularly the actual engine bits themselves since they need to be rotated into place properly) like in my photos below if it helps at all? Or take similar photos to these so we can have a look to? I know the issue might not even be visible in these but just to be sure? I had all the parts aligned, they just don't want to stay tabbed in. But as sad as the alt mode is, this robot mode is the bomb! D-Maximal_Primal wrote: I had all the parts aligned, they just don't want to stay tabbed in. 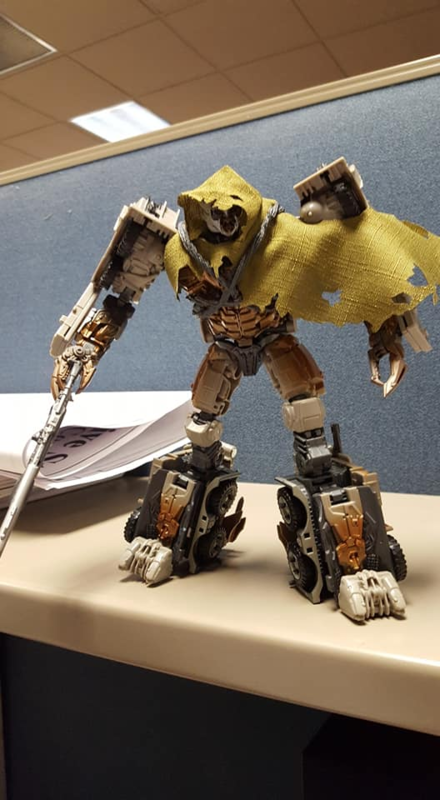 Oh for sure, if there is something Studio Series has killed at, it's the looks of the robot modes. Grimlock and Lockdown have stood out to me since the beginning for the awesome robot mode detailing, and Megatron and Jetfire continue that trend nicely! 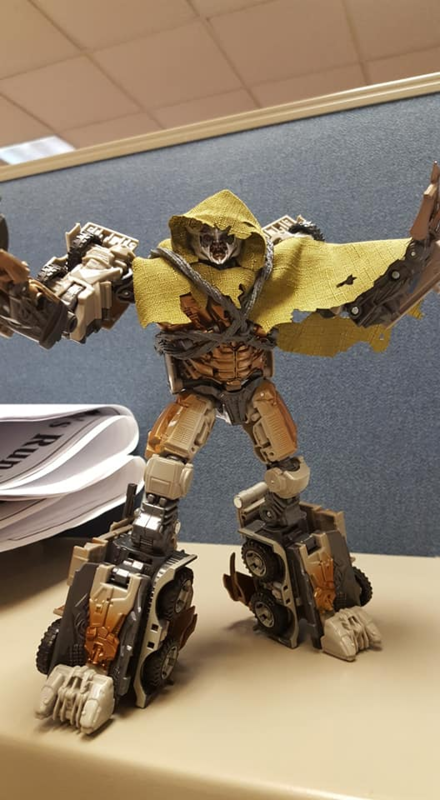 Another Optimus Prime figure? I've reviewed two in as many months now already. When will it end? 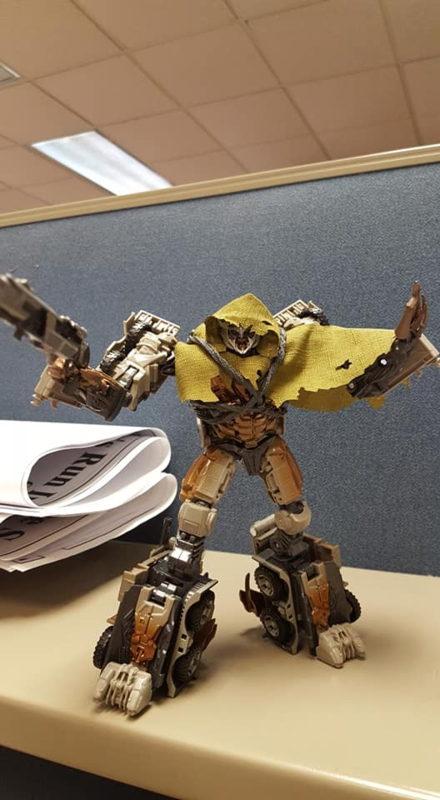 DeathReviews wrote: Another Optimus Prime figure? I've reviewed two in as many months now already. When will it end? 4,064 pages were recently viewed by 524 unique visitors. This page was viewed 1 times on Thursday, April 18th 2019 5:50am CDT. © 2019 Seibertron, Inc. DBA Seibertron.com. All Rights Reserved. Established June 2000. Seibertron.com is owned by Ryan Yzquierdo.